The Housing Division focuses on implementing the Housing Element of the City’s General Plan. 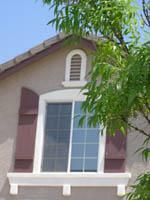 The City of Rocklin’s Affordable Housing program consists of the condos at Vicara at Whitney Ranch. The City tries to keep the list below updated with current condos on the market. The gross annual income limit for the 2 bedrooms is $57,700 and $64,100 for the 3 bedroom. To apply, please fill out the application below and attach all supplemental documents and either email the application to the email address included in the application or bring the application in to City Hall. Persons who believe they have experienced discrimination in housing-rental, sales, or financing because of race, color, religion, sexual orientation, national origin, marital status, handicap, or familial status can contact any of the following organizations. CDBG is funded through the Department of Housing and Urban Development. Projects funded focus on low-income clientele or projects in low-income neighborhoods. There are no emergency shelters or transitional housing facilities located in Rocklin. Below is a list of shelters and assistance in the surrounding area.